Development proposals will be assessed according to the sequential approach and where necessary the exceptions test as set out in the National Planning Policy Framework (NPPF) and associated guidance. 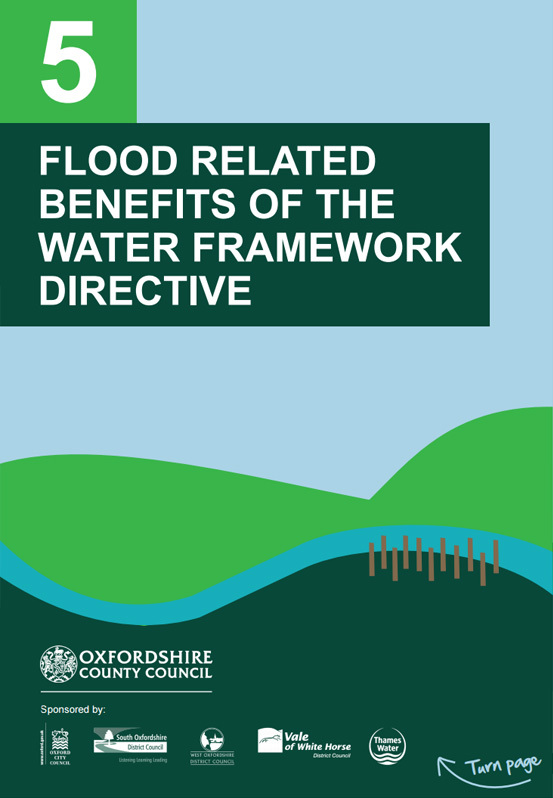 Development will only be permitted in areas of flood risk when there are no reasonably available sites in areas of lower flood risk and the benefits of the development outweigh the risks from flooding. 1. Using the planning system to avoid locating unnecessary new development in areas of high flood risk. 2. Mitigating the surface water run-off impacts of new development on downstream areas through planning policies. 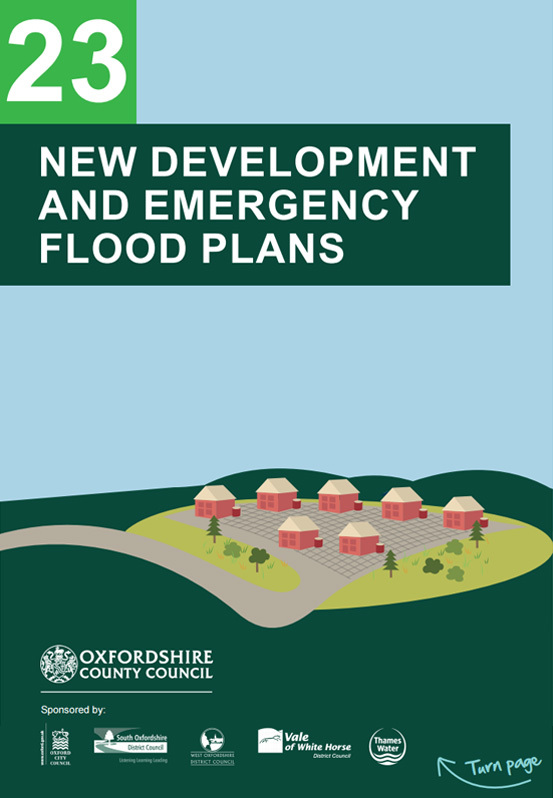 The Oxfordshire Local Flood Risk Management Strategy establishes the responsibilities of Local Authorities and the developers themselves with regards to flood risk, and sets out the co-ordinated approach to the management of all local flood risk. 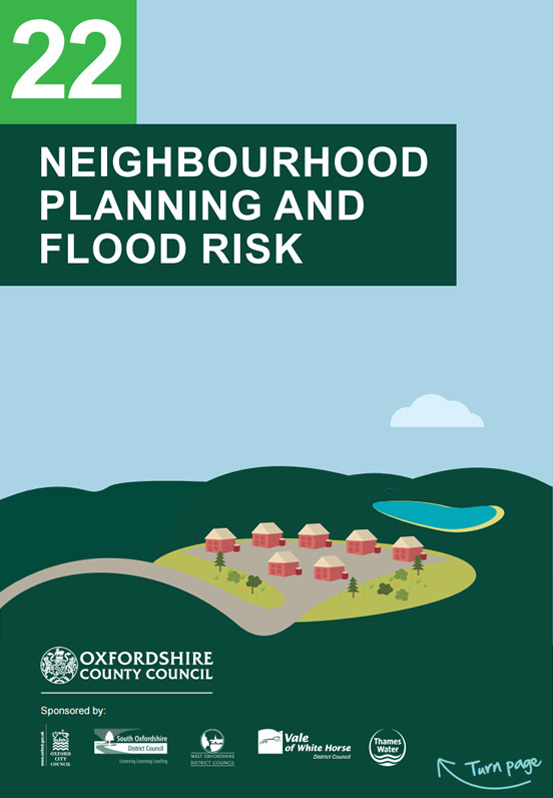 The NPPF explains how Local Plans should take account of flood risk. A Local Plan should set out the strategic priorities and policies for an area, including those to deliver the infrastructure for flood risk. Encouraging the use of in-built property level resistance and resilience measures. Section 10 of the NPPF and its supporting Technical Guidance, state that Local Plans should be supported by Strategic Flood Risk Assessments (SFRAs). Local Plan policies and allocations for new development should be considered in the light of these assessments. Ensure that the relevant stakeholders have been consulted (Lead Local Flood Authority, the Environment Agency and the WASCs). 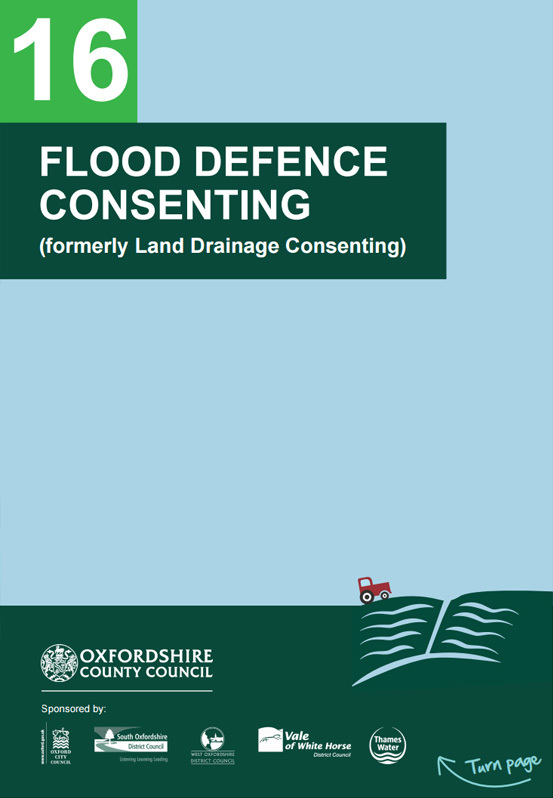 Oxfordshire County Council has published local guidance to support Local Planning Authorities in considering surface water drainage proposals in Oxfordshire, and to assist developers in the design of all surface water drainage systems. The guide sets out the standards that we apply in assessing all drainage proposals, as well as the information we require to be submitted as part of the planning application. This guidance is a ‘live’ document which will be continually updated and improved – the current version is: v1.0 November 2018. 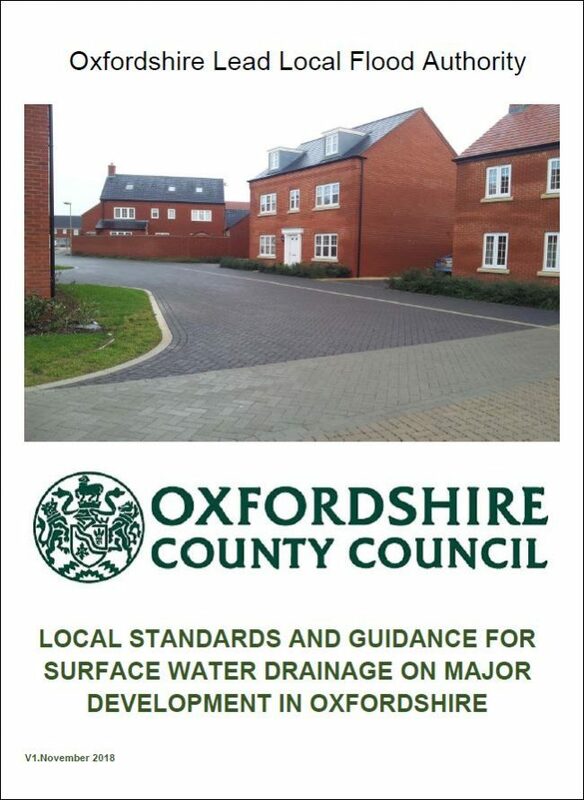 For more information, please download the Local Standards and Guidance for Surface Water Drainage on Major Development in Oxfordshire. Communities can also ensure that new development adequately plans for flood risk. Neighbourhood planning provides a powerful set of tools for local people to ensure that they get the right types of development for their community. Our Neighbourhood Planning and Flood Risk guide has been produced to help support the development of these plans.